a great inter-action shot and the still water is a bonus, superb. Nice behavior image with both subjects well focused in great low light, right on your shadow line. Super low-angle light and excellent interaction,EJ. Lovely courtship poses you captured, EJ! I like the low perspective view too. Nice interaction captured of my favorite shorebird species. So beautiful! 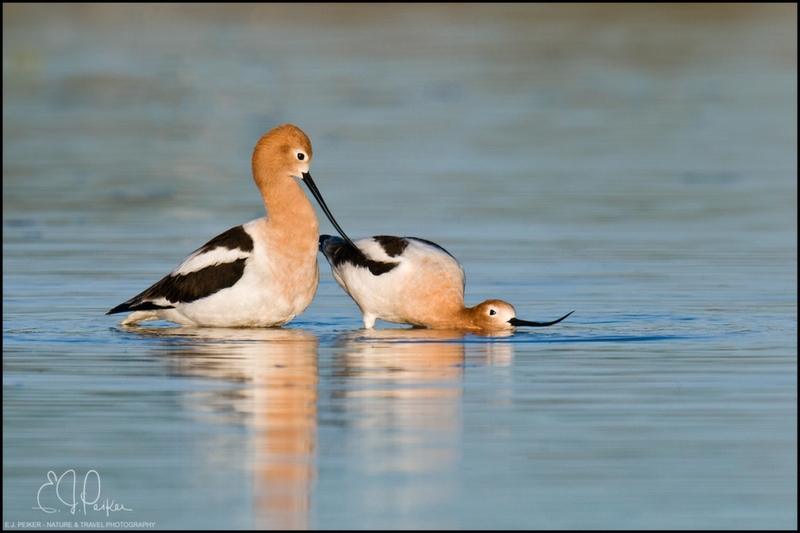 Wonderful capture of this stage of the courtship behaviour. Outstanding image of courtship behaviour sir.